The ROTARY KILN INCINERATOR is delivered by Dutch Incinerators as turn-key process and is completely automated using the latest technologies. 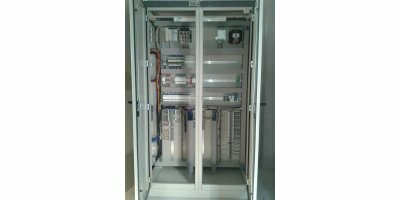 The complete process is automated using a PLC, using top quality European automation components. Monitoring of the process is typically done using 2 interfaces (HMI, human-machine-interface), one unit near the processing system for direct operator control, one available in a central control room for supervisor monitoring. Remote access via internet from anywhere on the planet can be integrated, upon client request. The plant automation system typically includes continuous data acquisition and storage, reporting, trending, IO visualization and overview of electrical systems and can be adapted to specific client requests. Plant automation visualization screens can be tailor-made, depending upon client requirements. Additional visualization screens can be added, implemented, for instance for public information or sales of actual emissions or operating conditions. No reviews were found for Dutch Incinerators - Plant Automation Incinerators. Be the first to review!